Concepts has once again taken to the collab game, this time helping out Vans Syndicate with their infamous Sk8-Hi silhouette. Decked out in purple uppers, these eye-catching kicks are sure to be a Spring/Summer 2015 staple for many. 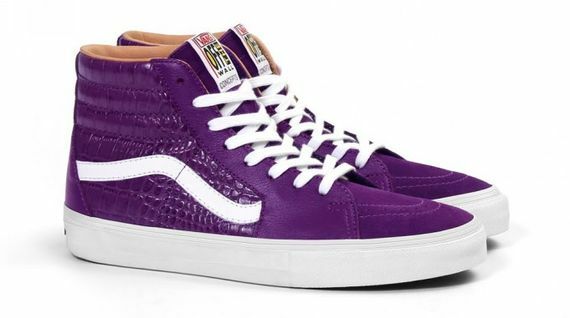 Consisting of suede, pebble grained leather and faux croc, these Sk8-Hi’s have a dynamic feel even if it’s an all purple and white affair. 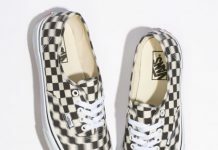 Speaking of white, white accents run throughout via the side-stripe, laces, soles and more. 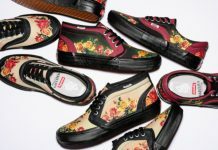 Including a tan lining and a supposedly removable zipper feature, these unique Syndicates can be purchased starting March 28th. Lets us know via FB if you’ll be copping these bad boys.